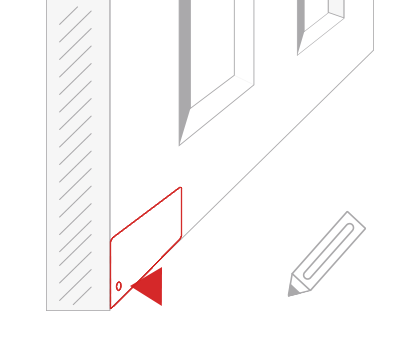 The packaging provides not only the directions for installation but also an integrated template to mark the location where the hole should be drilled. 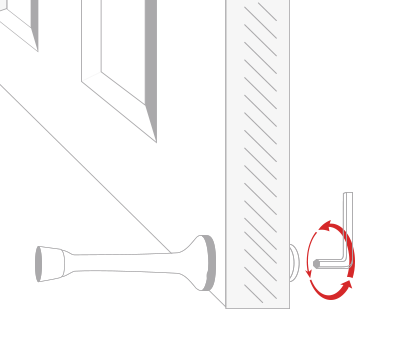 Simply line up the edges of the package with the edges of the door and use the circle to mark your spot. Mark Door Stop location with package template. 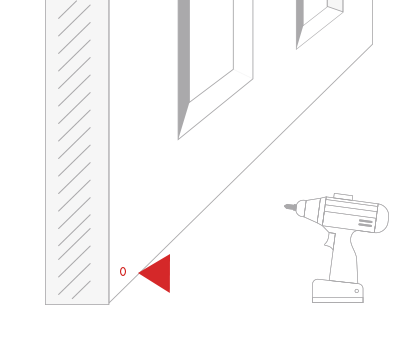 On the same side screw is inserted , drill 5/16 (8 mm) hole through the door. 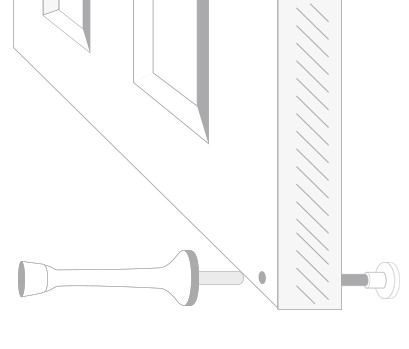 Install Door Stop with screw. Tighten the screw using the 5/32 (4mm) hex key. 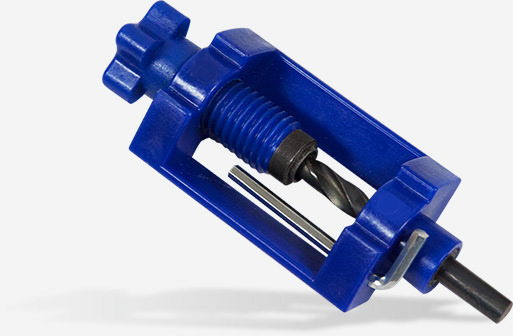 The Doorstop Upgrade installation kit is an accessory that complements our new and improved doorstop design. 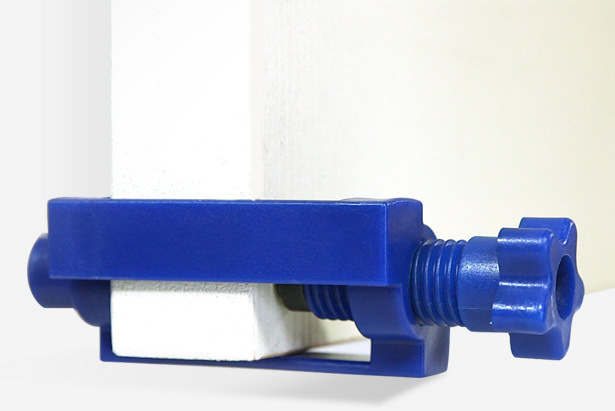 The kit aids the consumer in the case of repeated installations by significantly increasing the speed and accuracy with which each doorstop is installed. 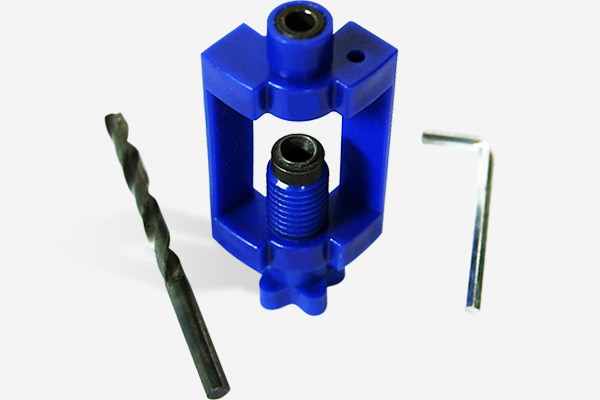 The kit includes a drill bit, the blue jig and a hex key. Consumers have used the kit with great success.